For models NEMO, GOBY, SHELL & CORAL go here. For models ARIEL, CORAL and MARLIN go here. For models COLIBRI, CORELA, IBIS and ROBIN go here. For model KIWI go here. For models LEO and TIGER go here. For model FOX go here. For model YETI go here. For models IMPALA and AKITA go here. If you do not have a printer, please follow the directions below on how to measure the feet easily. Look at the table on the bottom of each product on the "More info" tab to determine the right size. Please, take exact measurements with slightly tightened soft tape measure. Do not round up or down. Do not provide us with ranges, because a difference of 5 mm. could be crucial to the proper fit of the shoe on the foot. If the feet of the child are more specific, give us more information on the specifics. IMPORTANT: Different models are available in different sizes, so check the sizing of your model! 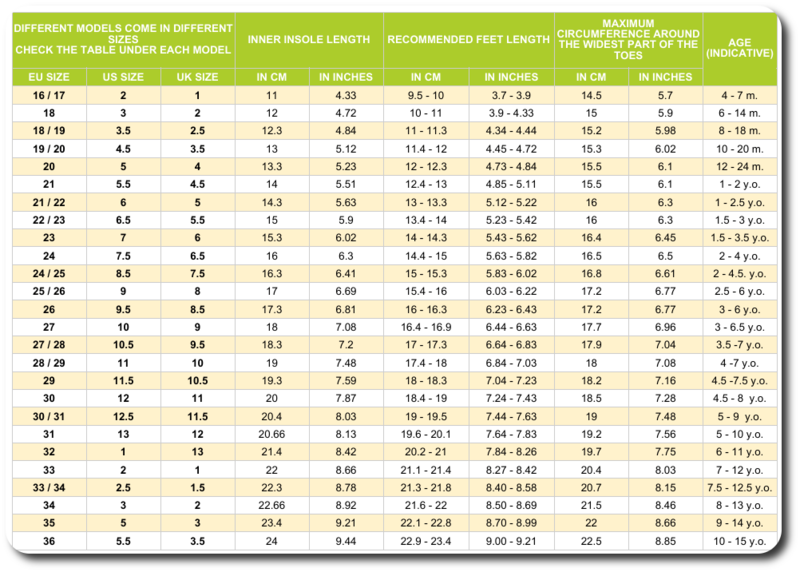 You can find a table with the internal shoes dimensions in the detailed information under each product. When completing your order, there are fields in the "Order Details" tab, for example: Foot length; circumference of the ball of the fingers; circumference of the foot at in front of the ankle, etc. 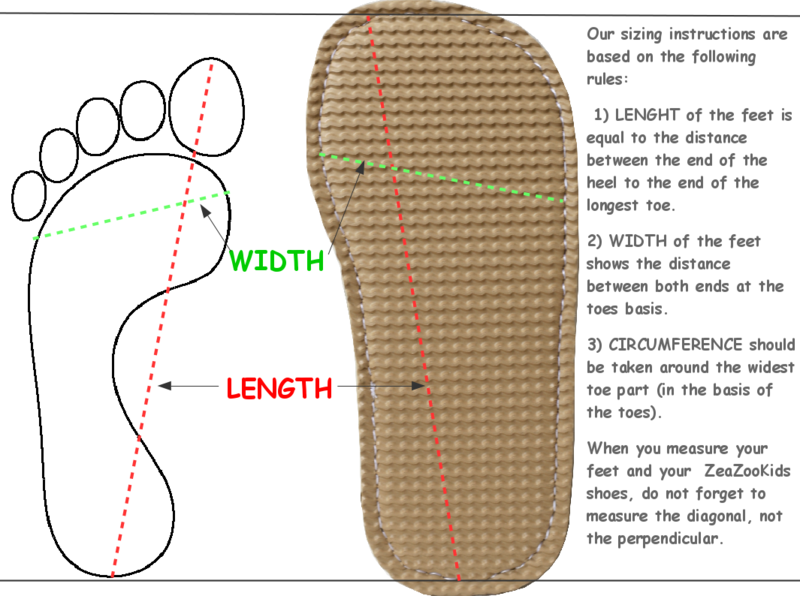 If you doubt the size please write down these dimensions without adding additional millimetres to the real foot dimensions. We will use this information to assess and double check whether you have selected an appropriate model and size, not to produce the shoes exactly according to these measures. The internal dimensions of our models are made in standardized molds. 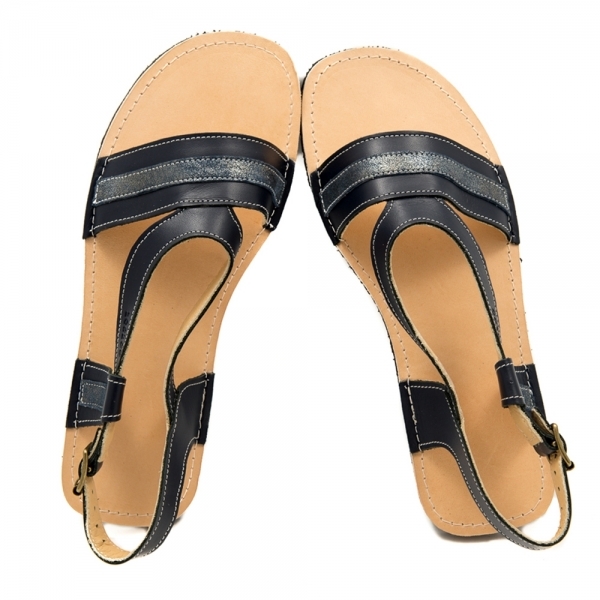 In cases in which the internal dimensions of our shoes do not fit the feet by more than 1 cm. we suggest correction of shoes. There is an additional charge for this adjustment (narrowing, widening, intermediate size), depending on its complexity. You can find information about the additional charge in each product. If you opt-in for the correction, you agree that these shoes are not subject to our standard return or exchange policy because they are treated as non-standard models.